""And I just think we've seen the future right there..."
With 5 - brilliant and 12 - unbelievable (one for each of his records lol) and my favourite "There are good skaters and there are great skaters, and than there is Yuzuru Hanyu"
I have to say, reading all of these old comments in hind sight of what Yuzuru is now and what he has accomplished is so fun! "He is adorable isn't he?" "He is. And he doesn't have to work at it (he is naturally adorable"
(After he lost in the game) "If I had the mental strength Hanyu has, I would be able to get closer to the gold medal. I want to carry this regret to the next." "In the warm up, there was the jump he was not able to land, but he succeeded it at one shot in the actual performance." "Hanyu said he would challenge 4A, and as a leading "twister" in the gymnastics, I also have to aim for the higher level." "I think his road to the Olympics was not easy being injured, but it was beyond amazing he achieved the greatest result at the biggest stage." "I have the connection with Hanyu in terms of belonging to the same company (Seto is in ANA, also a student of Waseda Uni), I only have greeted him. I'm interested in the mentality of "The absolute king", so I would love to talk with him. Of course, I am feeling like "I have to do it next." and being passed a baton from him." "Hanyu's consentration is really great. I was moved from my heart that he executed perfectly at the big stage without loosing focus after he had injured his right ankle. He must be realizing his current strength and weakness very well. While he wanted to have the best performance at the current state since it was the Olympics, he did stick to giving all his best on that day. It was the toughness that normal people don't have. Hanyu had it and I felt he was a monster." "He has the absolute power that nobody can say anything about. I watched him feeling like the excellence of Yuzuru Hanyu as a human being was spreaded not only over Japan but also the whole world. Being impressed by his interview, I was motivated like I had to work harder and keep up, because I want my gold medal in the Olympics after all." "The more I see the news of Hanyu, the more I want to see him and ask a lot of questions. I want to hear many stories from him." "True king. He had the curious aura in his whole body and the power to draw all in." "I shouted when I was watching him. I don't know about the techniques of the sport, but he had his own expression, brilliance and flexibility. I thought he was fabulous." "He has incredible mentality. It is better if we don't get hurt physically, but the important thing is how to control ourselves after getting injured." "We have tremendous pressure for 2020, but we have to fight believing in ourselves after all. As an athlete, he gave us the courage and inspiration." 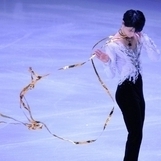 "First of all, his attitude for the performance was different (from mine) when he stood on the ice rink. He was standing like he was able to have clean elements without thinking anything, and I felt I wanted to compete in that kind of atomosphere as well." "I've heard that Hanyu read many research papers while he was injured, so if I have any chance to talk with him, I want to ask him what kind of documents he had read." "I imagine he had really hard time after getting injured, and his sense (for skating) may not been coming back 100% yet, but he did give it all like that. I was very moved." (Did Yuzuru inspire him toward the consective win in Tokyo Olympics?) "Yes. I can not let the Pooh rain over the swimming pool, so I want to make another kind of rain (in Tokyo Olympics)." "Yuzuru Hanyu is unbelievable. How did he show the best performance after returning from long-term withdrawal due to the injury? Has not he recovered fully yet, has he? Besides, the Olympics is the big stage. You can not do this only by the talent. Well done." "Hanyu's word "I know how to win the Olympics.". He understands the way of aproaching to the big game, and the way of peaking and conditioning. What I am lack within me is "prominent". I haven't trained enough to be prominent. I only have to spend enormous amount of time to build up." "Hanyu is the epitome of affability and impeccably well-mannered. His down to earth charm is disarming (i know right!! ). How can he be just so, well, normal?" "On the ice, Hanyu is a perfectly tuned force. The definition of grace under pressure." Daniel Weiss: Like always, many Japanese Fans coming from Japan, for their heroes, they are national heroes in Japan. Daniel Weiss: Absolute Superstars. An Ocean of Flowers on the Ice. And an Ocean of Flags in the arena, many Japanese flags this afternoon. There are certainly about 2,000 Japanese Fans to see their heroes. And Yuzuru Hanyu isn't even here. Paul Fentz: No. There would be 10,000 then. Massimiliano : 97,08 is a scandal. its not acceptable!! Angelo : It's a scandal. Indeed. Russian commentaror "Still the only one and great. Unique! 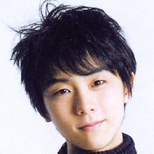 Samurai with the face of a child....Yuzuru Hanyu!"